I wrote previously about using charcoal to purify the air in your home. Here are some amazing reasons why you should keep activated charcoal stocked in your cabinet. Alleviates Gas & Bloating: Bloating is the worst. Take before eating out at a restaurant or eating low quality processed foods to avoid gas. Non-toxic Teeth Whitening: Simply put some of the powder on your wet toothbrush and brush as normal. Take to Prevent or Cure a Hangover: Take before, during, and after drinking alcohol to removed toxins that poison the body. 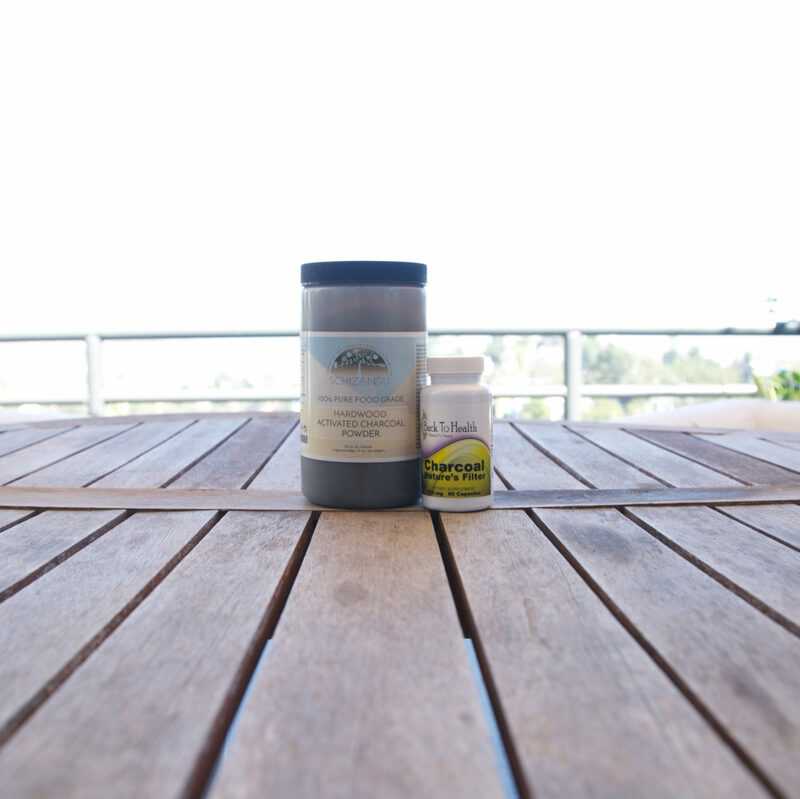 Overall Detoxification: Absorbs things like pesticides, mold, mercury, lead, aluminum, and parasites. Anti-Aging: Studies have shown that it prevents organ damage, as we age we become more sensitive to toxins. Skincare: Binds toxins, bacteria and dirt that contributes to acne. After doing a little research I think the coconut shell charcoal is best, but I’ve only used the wood charcoal and have seen the benefits. Previous Post Are Your Beauty Products Toxic? Ingredients to Avoid. I have some charcoal pills from last time I had a diarrhea. Are they ok too to consume during normal days? Won’t they congest me? Hi Darcy, Any health food store should have it and I put some links in this post from Amazon! Hi Moon love following you on Instagram and here where else can I ? Where do you buy the charcoal ? Hi Ty, It doesn’t really have a taste. You can add it to lemonade or something. You would even taste it. Honestly, how does it taste?